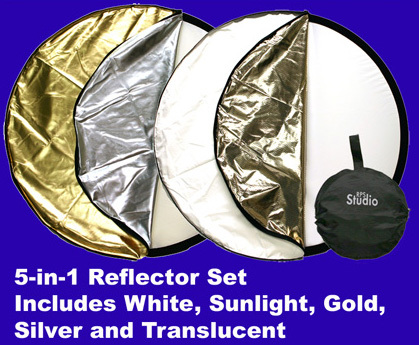 Choose from a variety of styles including white, silver, gold, translucent, sunlight or all five in one. Select from various sizes from 12" to 60" x 72". Soften harsh light with a reflector. Comes in a storage pouch with a zipper.